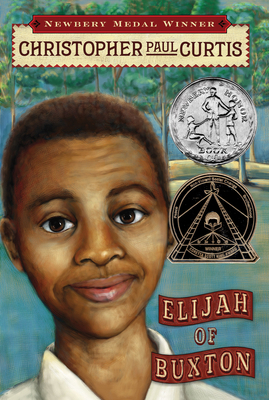 Elijah of Buxton (Hardcover) | Broadside Bookshop, Inc.
Eleven-year-old Elijah is the first child born into freedom in Buxton, Canada, a settlement of runaway slaves just over the border from Detroit. He's best known in his hometown as the boy who made a memorable impression on Frederick Douglass. But things change when a former slave steals money from Elijah’s friend, who has been saving to buy his family out of captivity in the South. Elijah embarks on a dangerous journey to America in pursuit of the thief, and he discovers firsthand the unimaginable horrors of the life his parents fled -- a life from which he’ll always be free, if he can find the courage to get back home.